Dressing up is an important part of being a kid, especially for the girls. Let’s face it, there are certain things, like tutus for example, that get increasingly hard to pull off wearing as you get older. 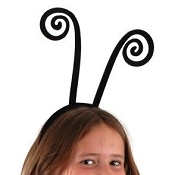 But when you’re just a little girl, you have all the freedom to dress up as imaginative as you, or your parents, want. 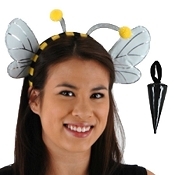 And there’s nothing that compliments a nice tutu as a pair of antennas, right? 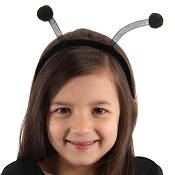 Be it ladybug, fairy, or Dr. Seuss inspired antennas, we have them, and you’ll be able to find them on this page. 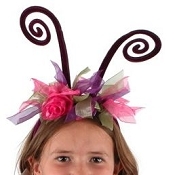 They come with their own headbands so they’re easy to wear without pulling on your hair, and they come in plenty different colors and designs. 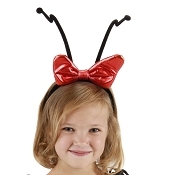 At TuTu Heaven, we do our very best to provide you with any type of special attire you might need – from cheerleader costumes to costumes of your favorite cartoon characters. So, if you’re a fan of dressing up in cute costumes, look through our online store – there’s something in there for everyone. And don’t forget to order as soon as you see something you like.